Why is the A/C unit always running at my Edwardsville, IL home? It isn’t normal for your air conditioning unit to run constantly. Not only does a constantly running a/c unit result in a higher-than-normal utility bill, but it’s not good for the unit. It could drastically reduce the lifespan of the unit. If your air conditioner is running constantly, consider these things to determine if it’s an easy fix or if you need to call an HVAC contractor to solve the problem. If airflow is restricted, the a/c needs to work a lot harder to cool your home, so it may very well be running constantly. You might also notice that the air coming out of the vents isn’t as cool as it should be. This is because there isn’t enough air flowing past the evaporator coils, so the coils aren’t removing all of the humidity from the air to cool it completely. 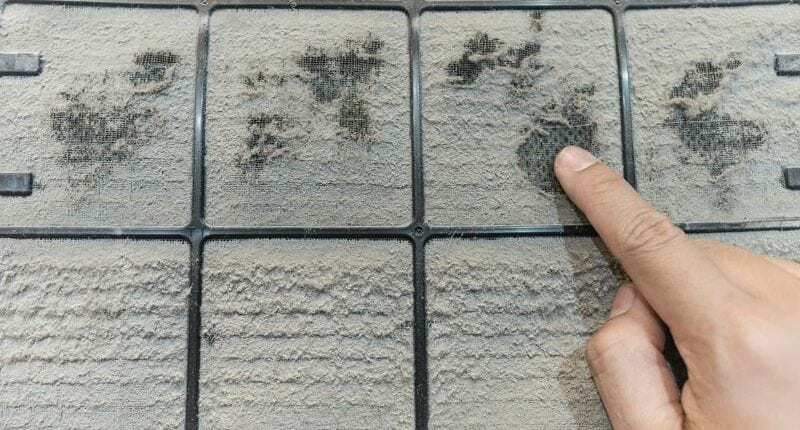 Check to see how dirty your air filter is and change it, if needed. Check the air filter on a monthly basis and change it when necessary. If your air filter is new, you might be using one that’s too restrictive for your unit. Consider using one with a lower MERV value. If the refrigerant in your a/c unit is low, it can’t cool the space properly. So the unit will continue constantly running to try to get your home cool enough. If this is the case, you need to call an HVAC contractor because you need a licensed contractor to make the a/c repair. It’s a common air conditioner repair to make, so it shouldn’t be difficult to find a contractor to do the job properly. However, if the a/c needs to be recharged each season because the refrigerant is low, you might want to consider an air conditioning replacement instead. If the air conditioning unit is too small for the space, it has to work a lot harder to keep the house cool. This results in the unit running constantly. If this is the case, you should consider hiring an HVAC contractor for a completely new a/c installation. Replacing the unit a properly-sized unit helps save money in the long run. Ideally, your air conditioning unit should be running about once per hour. If it’s running more often than that, you should consider calling an HVAC contractor in Edwardsville, IL to help you resolve the problem.